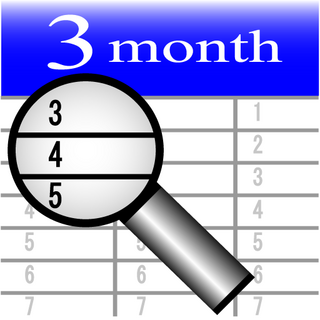 We create 3Months Calendar Application for us. We want to cheack at a lot of google calendar's Schedule on one screen of iPad. We want give the goodness of the paper pocketbook to digital calendar. �@ You can cheack schedules of 3 months at one time. �AYou can set the icon and background color by day. �BYou can set the Done mark,so you can use 3Months Calendar at ToDoList. For paper pocketbook,you can management easily Long-term schedule. But for google calendar,you cannot management easily Long-term schedule. For You use 3 Months Calendar ,you can management easily Long-term schedule on google calendar. Feature2 : You can cheack the schedule visually by various icons and background colors. For paper pocketbook,you can use various icons and background colors. But for google calendar,you cannot use icons and background colors. For You use 3 Months Calendar ,you can use various icons and background colors. So you can cheack the schedule visually and easily. Feature3 : You can use google calendar for To-Do List by DoneMark. For paper pocketbook,if schedule is finished,you cheack the mark on the schedule. But for google calendar ,calendar is different from tasks, so you cannot cheack the mark on the schedule. For you use 3 Months Calendar ,you can cheack the done mark on the finished schedule. So you can use google calendar for TaskList.